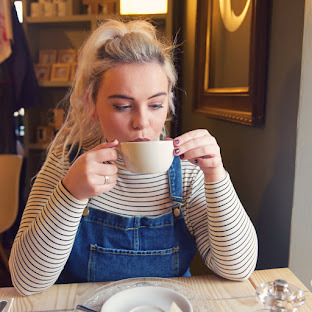 The seasonal Lush ranges are definitely my favourite, I'm a sucker for anything themed. Instead of just buying some separate products, this year I saw they were doing little gift sets! A little to me from me gift! I picked up the Heebie Jeebie Pumpkin £9.95 and the Heebie Jeebie Bat £9.95. I absolutely love how these little sets look, I'll start with the Heebie Jeebie Pumpkin, I love the pumpkin design, I think it looks super cute, I also like that you could reuse the packaging, as it's quite sturdy and has a little ribbon to hang it up. Inside the set is the Sparkly Pumpkin Bubble Bar, have a ball in the bath with this warming and cheerful bubble bar packed full of sparkle and citrus for cold, winter nights! The energising blend of juniperberry, lime and grapefruit oils packs a punch. Also in the set is the Lord of Misrule Bath Bomb, revel in your bath with this mischievous bomb that features a spicy herbal blend of patchouli and black pepper oil. Inspired by the ruler of the pagan Feast of Fools, Lord Of Misrule has a deep green exterior that slowly froths away to reveal a rich wine-coloured centre. Next is the Heebie Jeebie Bat, inside this is the Nightwing Shower Jelly, a fangtastically fruity jelly to put the bite back into your bathroom. When the dark night rises seek the fruit pastille-scented salvation of this aloe vera and lime juice jelly and cover yourself in sweet, carrageenan lather. Also in the set is the Lord of Misrule Shower Cream,A feast for the senses! Get down and earthy with this mischievous, herbal blend of patchouli, peppercorn and black pepper with an intriguing Fair Trade vanilla sweetness. I absolutely love this years Halloween range, are you going to pick anything up? 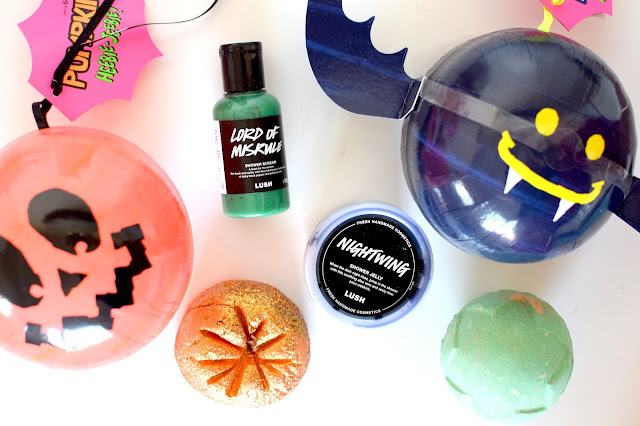 I think I need to head on down to Lush, what you've got looks adorable in the bat and halloween ball! Everything is so cute! I'm not really a huge fan of the halloween stuff but I am super excited to pick up some, probably all, of the christmas collection! That bat is so cute! I do love lush, but I just don't have enough baths to take full advantage of their products, I feel as if I must change that! Really want to try the sparkly pumpkin!! Ah I LOVE the heebie jeebie pumpkin! Very cute indeed.